My book, Defending the Inland Shores, is now available from all major online retailers, independent book stores and from Amazon and Indigo. Soldiers from Newfoundland played a significant role in the defence of Canada during the War of 1812. The Royal Newfoundland Regiment was on the front lines of the war, fought with honour and great courage, and took heavy casualties in many military actions, including the battle of the Maumee, the battle of Fort George, and the battle of Lake Erie, to name a few. This book also portrays several legendary military commanders from the War of 1812, such as George Prevost, Isaac Brock, Andrew Bulger, and George Macdonell. 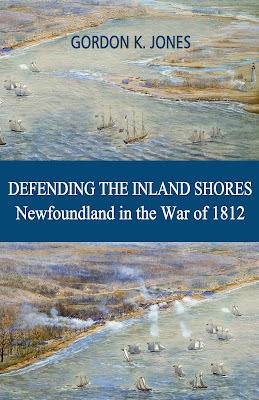 The author skilfully describes many renowned battles of the war, including the siege of Fort Detroit, the capture of an American naval schooner on Lake Ontario, a surprise attack against Ogdensburg, and desperate defence of a British ship on the Niagara River during an American night assault. Defending the Inland Shores tells these incredible stories and illustrates the important part that the Royal Newfoundland Regiment played in the war.